Psssst...want to know a secret? Ed Gungor, the author of There's More to the Secret. Ed Gungor is the author of multiple books and is currently serving as Lead Pastor at The Peoples Church in Tulsa, Oklahoma. In his latest book, Theres More to the Secret, he examines the The Secret from a Biblical viewpoint. The Secret by Rhonda Byrne and 29 contributors has taken the world by storm; it's a best selling dvd and book promising the viewer that he/she can use the Law of Attraction to manifest anything they want ~ money, health, relationships, happiness ~ thus bringing joy to every area of their life! 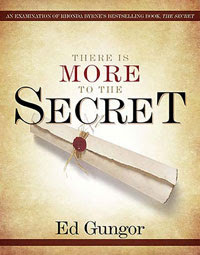 Ed Gungor was approached and asked by Thomas Nelson Publishers to write a response to The Secret. He had 2 weeks to complete the project; 2 weeks to pull apart the best seller and examine both the positive and negative aspects in light of a Biblical perspective. I encourage you to watch his interview with 100 Huntley Street. He raises some interesting points in his new book There is More to the Secret. And remember... the Bible tell us that He is “the way, the truth and the light.” There is no other path to God but through Jesus (John 14:6). continue reading "Psssst...want to know a secret?" This song is powerful...I pray it will touch your heart. continue reading "Just One Touch "
Get Entered Now, Before It is Too Late! There is less than 1 week until the launch of Alyssa's Mom-Daughter Connection Radio Show. It premiers next Tuesday on July 3rd, at Beauty By Design Ministries. Join Alyssa as she will be sharing her testimony of how she was called to ministry and how she started with Beauty By Design Ministry. On the 1st episode, Alyssa will be announcing the contest winner! One lucky subscriber will be winning the Mini Spa Party in a Box. Refer someone to Alyssa's ezine before her 1st radio show. Have the person you referred email Alyssa saying that you referred them to her ezine. Your name will then be entered to win this fabulous prize! Help me build Alyssa's subscriber base. Just let her know Karla Meachem sent you. I would love to be in the running for that AWESOME prize! continue reading "Get Entered Now, Before It is Too Late!" Are you surrounding yourself with people that are detrimental to your well-being? Are you measuring yourself against someone else's economic status, gifts or even job? Are you dealing with low self-esteem, fear or shame because of a situation you are in? Are you leading a double life? Mask on Mask off. Do you have someone in your life that you can confide in and not be judged? Does this person provide stability or balance for you that you experience throughout your life? If you answered yes to any of the first four questions and no to the last question, then Answers4Women is for YOU. Join Ms. Bettye Jamerson, Dr. Taffy Wagner and Regina Baker, the founders of Answers4Women; these women are completely committed to empowering women to be who God has called them to be. Answers4Women has been designed to fulfill that purpose. It has been designed to empower women to rid themselves of challenges and be armed with choices! It is allowing women a safe place to get to the heart of the issues, bringing the challenges into the light of Christ and assisting them to break the hold of sin upon their lives. God has provided an online support system for women to break free! A place where women can become transparent, leaning on others for support, understanding and Biblical counsel. A place where they can be held accountable in love. A place to learn to walk in the FREEDOM and LIBERTY that Christ provided when He died for us. That's what we all desire! We want to be who God called us to be! We want to live the abundant life that God has placed before us! So...what are you waiting for? Come to this conference! Your INHERITANCE is waiting for you! Come see your Daddy. He's waiting to spend time with you. continue reading "Mask on? Mask Off!" Or would you face Him as your Savior? Then a voice boom, "This court's now in session"
Been into drugs, alcohol and even more"
I said, on the other side of the courtroom. Who has never lost a case. I washed his sins away? "Now, we'll see what this book has to say"
'Cause there is absolutely nothing in this book." God said, "Devil why you so uptight?" And on the cover it says "The Lamb's Book of Life"
Oh, Jesus, how we praise You and thank You that You live forever to forever save those that have trusted You for their salvation. Nothing can ever prevail against You love and propitiation for our sins. You have made us new. We stand pure and righteous before the Holy God of Israel, because You have made us so. We lift You up in awe and gratitude as we sing and pray in Your holy name, amen! continue reading "The Courtroom ~ Carman"
If Jesus came to your house, I wonder what you'd do. If He came unexpected, just dropped in on you. Would you turn the radio off and hope He hadn't heard? And would you hide your worldly music and put some hymn books out? Could you let Jesus just walk right in, or would you rush about? And would your family conversation keep up it's usual pace? And would you take Jesus with you everywhere you'd planned to go? And would you be glad to have Him stay forever on and on? continue reading "If Jesus Came To Your House"
In honor of Canada Day and Memorial Day, 5 Minutes for Mom has put together tonnes of dynamic contests and prizes to celebrate our countries' birthdays! From now until July 4th, you are able to enter in each one of the contests! Make your way over to 5 Minutes for Mom and enter today! Entering is easy! Post a comment on each individual contest in order to have a chance at winning; or you can link back to their contest post at their site, include a button/link on your site and link back to 5 Minutes for Mom. Go to 5 Minutes for Moms for complete contest details! Special thanks to the owners of the 5 Minutes for Moms! Susan and Janice, are twin work at home moms, who help bring moms the BEST in blogging, shopping, parenting and entertainment. continue reading "Let the Fireworks Begin!" continue reading "Hillsong - I Give You My Heart"
Jill Hart is one of the contributing authors of the new book Laundry Tales. What a great time to order a special treat for yourself! Everyone needs at least one new book to read on the lazy, hazy days of summer. Laundry Tales is a lighthearted look at the ups and downs of doing everyone’s least favorite chore ~ laundry. Forty authors share their insights, tips, and humorous moments from the laundry room. Click here for more information on Laundry Tales. But, remember this special offer is only available for a limited time. Order several copies to keep on hand; makes a great gift! What are people saying about Laundry Tales? continue reading "A Special Offer for My Readers..."
Mark your calendars because July will be here before you know it! Even Santa has confirmed that he will be there! You won't want to miss him! Santa had some difficulty in finding a seamstress to make him a breathable mesh suit, but Santa said he would not miss this event for the world! Rudolph is shedding; Santa has wheels on his sleigh; and he's even rounding up the elves from vacationing in Bermuda! Mark your calendars now; get ready to drop in during WBO's two day event. Each day will hold a 4 hour session, filled with speakers, vendors, and gifts. Enjoy the holiday season this year by shopping early! continue reading "Let's Go Shopping!" Alyssa Avant, owner of Beauty By Design Ministries invites you to help celebrate the launch of The Mom Daughter Connection Radio Show. In just 2 short weeks, on July 3rd, the show will be live! The goal is to refer as many new subscribers to Alyssa's e-zine "Mom-Daughter Connection" before the launch of the Mom-Daughter Connection Radio Show on July 3rd. Get a FREE special report "Seven Easy Tips: Encouraging Your Daughter to Pray" when you sign up for her WEEKLY e-zine! And you will be rewarded for your efforts by helping Alyssa to grow her subscriber database. Refer the MOST subscribers and you will receive a FREE Mini Spa Party in a Box valued at $35.00. New subscribers need to email ALYSSA (adavant @ bellsouth.net) (no spaces) who referred them to her ministry in order to qualify for the prize! So...let's get started! Don't forget to tell Alyssa that Karla Meachem sent you. (wink) Then, start refering your own friends, so you can win that fabulous spa party set! Alyssa has a fantastic ministry; you will not be disappointed! continue reading "Need Some Pampering?" Today is a special day to honor our father's. This day is for husbands, brother's, uncles, grandfather's and son's. It is a day that is dedicated to every man who has become a father to a child. It is also a day that we honor our One True Father, Our Lord. Without Him, we would be nothing. I'm following in your footsteps and I don't want to fall. Daddy, For I must follow you." "The greatest gift a father can give his children is himself." continue reading "Fathers, We Honor You..."
Summer Contest - Getting Organized! Two Moms in a Blog has just announced a fabulous Getting Organized Summer Contest that I am sure that you will all want to be a part of! This amazing contest is sponsored by Two Moms in a Blog and The Busy Woman. When you subscribe to their mailing lists, you will be entered to win a $160.00 prize package from The Busy Woman! The package includes a complete Compact Daily Planner Set with a matching Carry All Purse in your choice of color! The winner will also receive a "How to Put Your Planner Together" CD and a 45 minute consultation with Susie Glennon, the president of The Busy Woman, Inc.
A. The Contests For Moms Newsgroup from Two Moms In A Blog - this is a yahoo-based group used to let subscribers know when new contests are posted! We never spam, and it is one way only so NO extra mail! It’s just great contests, especially for moms, and you never miss a chance to win! Click here to sign up! B. The Busy Woman, Inc.’s - By subscribing to The Busy Woman, Inc.’s email list, you will be the FIRST one informed of all new products in addition to receiving discounts that NO ONE else will receive! Check out our others lists while you’re there. You’ll be happy you did! The contest ends the first month that they receive 200 new subscribers! So, get your subscriptions in TODAY and then tell all of your friends! The contest is open to ANYONE in North America - even if you aren’t a Mom - so invite everyone and make this month the 200 month! Feel free to steal the banner above and use it on your sites as well. Let's help these ladies reach 200 subscribers by the end of June! continue reading "Summer Contest - Getting Organized!" As God looks down from heaven, does He see you living for Him? What happened today in Heaven? Did the angels rejoice over you? Did you give them a reason to shout and be glad? Did you cause a smile or two? Did the Father say, "Well done!"? Did He see Jesus Christ reflected in you? Did He see you live for His Son? Was it quiet and still with grief? Was there disappointment in what you did? Did they witness your unbelief? Was the heart of the Father in pain? As they saw you ignore Him again? Did they whisper your name with shame? What glory you've brought to His name. Is laid bare before the eyes of the Father? Is He pleased or shamed by you? Depends on the life that you live! continue reading "As God looks down from heaven, does He see you living for Him?" What do people hear when you don't say a thing? Do you say it best when you say nothing at all? continue reading "Proverbs 31 Woman"
Please accept this as your personal invitation to attend a special summer coaching series with Randee Krumwiede, Christian life coach and founder of the Pink Collar Club. 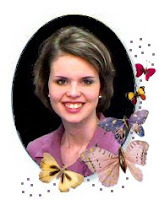 Randee has invited Rochelle Valesak, a special guest, to lead us in the study of the Proverbs 31 Woman. Rochelle is a Christian speaker and teacher who has been called to encourage women to believe that they are worth more than rubies. Rochelle has been teaching about the Proverbs 31 woman for years; and in doing so was led to write a Bible Study on the Proverbs woman. 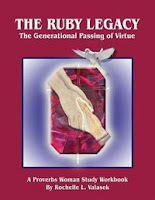 The study is called The Ruby Legacy - The Generational Passing of Virtue. This 10 week study takes the reader through each scripture of Proverbs 31: 10 - 31 - taking apart the scriptures, one verse at a time; as well as looking at the verse in Biblical times as well as it pertains today's woman. Join us every Thursday at 7:00 PM (CST). The series set up so that you may join in at any time. The first call starts today - June 7th! Reserve your spot here. The call number will be sent upon registration. Hope to "hear" you on the call! continue reading "Join Us to Study the Proverbs 31 Woman"
Sprinkled with the morning dew? Would you walk beside the sea? So you could rest beneath the trees? About your family and your friends? Would you grumble about your job? As you walked with the Son of God? Give careful thought to what you'll say. Jesus walked with you today. continue reading "Walk With Jesus"
I am God’s co-worker (1 Corinthians 3:9; 2 Corinthians 6:1). I have been redeemed and forgiven (Colossians 1:14). Father's Love Letter is a compilation of bible verses from both the Old & New Testaments that are presented in the form of a love letter from God to the world. Since 1999, this letter has been downloaded millions of time in 60+ languages from people in over 125 nations. It has also appeared as full page newspaper ads and been broadcast on television and radio stations around the world. continue reading "A Gift for You..."
Let’s face it. All moms get worn out. There are just those times when life overwhelms us and we are left wading through it the best way we know how. But we are physically and emotionally tired. As I sit here feeling worn out today, my thoughts go to the Lord and what He would have me to do during times such as this. The answer seems pretty clear to me. He would have me take a break, for even the Lord withdrew from the crowds and the multitudes at times. He went off to pray and be alone in the garden. If God knew the importance of time alone and placed an importance upon it – shouldn’t I also? So what do we do when so many demands and expectations are filling our lives and we’re worn out? It seems to me that we need to find ways to recharge and take a break amidst our busyness. Maybe we need to ignore that laundry pile for one more day so that we can escape to the library, a movie, or a nearby park. Maybe it’s a bubble bath with the door closed after the kids are in bed. Find what speaks personally to your soul and escape for awhile to draw near to God and clear your head. Chores and “to-do’s” will always be there. They’ll wait another day. But your health won’t and your family needs the best you that you can offer them. Follow the Lord’s example if you’re feeling worn out today. He never meant for us to run ourselves ragged but to run this race of life with endurance, blessing, and hope. Will we let Him renew our souls? The choice is ours. continue reading "A Mom Minute"